This list of files is dedicated to the China National Space Administration and their achievements. There are replicas of their Launch systems, Space crafts, Rovers and even Space Stations. Once you know which crafts you like go to the files tab and Download them separately. These are some of my favorite crafts in this pack and just like their real life counterparts they are perfect for practicing to rendezvous and dock. Dong Fang Hong I was the People's Republic of China's first space satellite. This KSP version can go a fair bit further than LKO so give it a try. 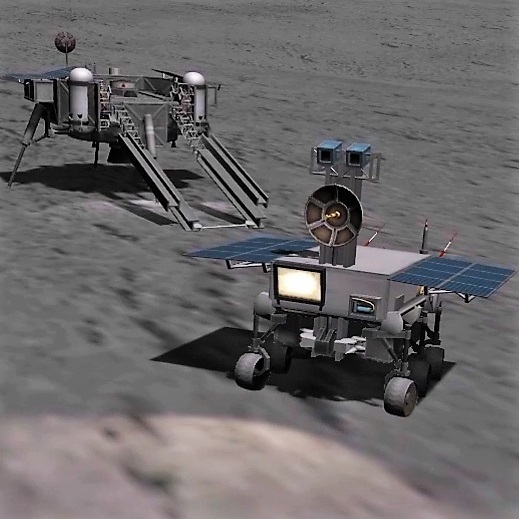 Chang'e I was the first Chinese probe to visit the moon and this KSP version is perfect for learning to orbit the Moon however you wish.